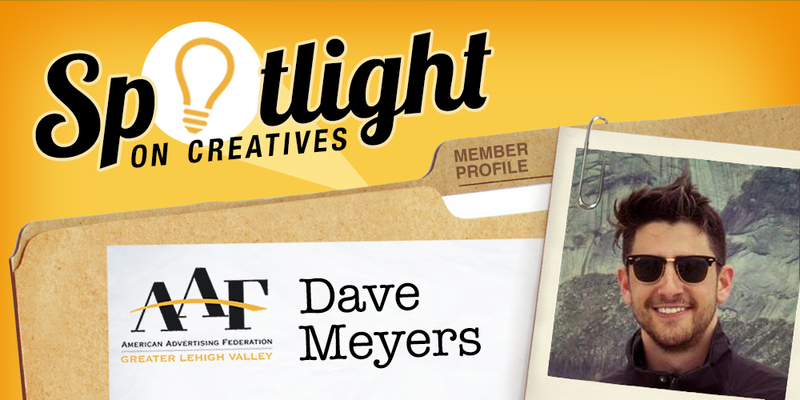 Our first #AAFSpotlight of 2019 shines on Dave Meyers. Dave is the Art Director for City Center Allentown. As an Art Director, what contemporary design trend in advertising drives you nuts? How would you change it? Bad gradients. Gradients and duotones have been real hot the last few years and I personally love when it’s done correctly. More and more I’m seeing poorly blended gradients or color combinations that don’t work together. Quick fix? Don’t use gradients just to use them. Be strategic. Use them to stand out and be bold. What’s your favorite key command? Is there a key command that doesn’t exist that you wish did? My favorite key command is Option + Drag. Quick duplication is my best friend and I couldn’t live without it. I wish there were a key command to magically clean my desktop after a busy week. Command + Clean would place all my files into perfect little folders and delete any file version that I know I wouldn’t need. I know this is called basic organization, but I think we could all benefit from this command. On a scale of 1-10, how much are you looking forward to the ADDYs this year? Why? 10. I always look forward to the Addy Awards! It’s so cool to be around so much creative talent. I am definitely looking forward to the 2019 Addys. I think we have some pretty good work to submit this year. Plus, I love game shows. What’s the most unconventional type treatment you’ve done, and did the client like it? The most unconventional type treatment I’ve done was for 520 Lofts, a new apartment building in Downtown Allentown. The logo was a simple custom type treatment using various lines and circles to form a modern yet abstract depiction of the numbers 520. The logo won an Addy last year. Currently, how big is the logo? Do you see it getting bigger? The client wants to know? 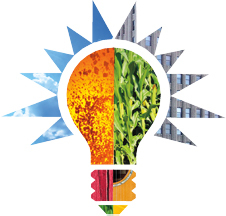 The logo is appropriately scaled for the building its on and can most likely be viewed from space. I simply cannot make it any bigger due to city restrictions. Sorry. Dave Meyers is an award-winning designer, photographer, and filmmaker. He is the Art Director for City Center Allentown where he is avidly documenting the transformation of the Downtown Allentown revitalization as well as managing all visual assets in print, web and social media. He has a passion for telling stories through film, art, and music and continues to push boundaries wherever he can.